Stop worrying, Use easy and reliable software for all invoicing and billing needs. Do all these problems sound familiar to you ? Invoicera keeps you stay organized and get easy invoice solutions with cost savings potential. Automate invoice scheduling and relax. Create recurring invoices and retain clients. Automate late fee and payment reminders to get paid quicker. Automation ensures better resource utilization and cost cutting. Receive payments with 25 International payment gateways. Set up auto billing profiles and simplify the payments process. Option of recording offline payments. Receive advance payments and issue credit notes. Manage and send invoices of multiple businesses and products from a single dashboard. View and track all invoices with a highly efficient process. Due date and late fee can be added to recurring invoices for getting paid on time. Payment reminders can also be set for automatic reminders. Subscription billing can be customised to integrate with existing CRM software Achieve better client management and retention. Reduction in manual processes for B2B communication. Optimize resource utilization and save process costs. Analyse time tracking reports and improve productivity. Detailed reports to forecast expenses and manage business finances better. A control mechanism for better expense management. Reduce manual processes and automate your business. Faster business process management and quick decision making. Q1. 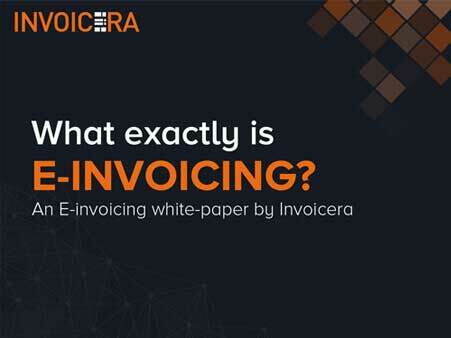 What is the licensing model for Invoicera's Traders billing solution? A.The Traders billing solution is licenced on a subscription model. Q2.How does my invoicing system get managed? A.We have a dedicated team of IT staff for the management of the billing system on dedicated servers. Q3. Is my data secure? A.Yes, We take the complete backup of the system on the regular basis. We have Scalable network architecture,Provision of disaster recovery & infrastructural facilities powered with latest hardware and software. Q4. How do I access analytical customer data for financial analysis? A.Invoicera provides a simple and customized browser based system to track and analyse customer reports.